Following the Miami Heat's loss to the New York Knicks at Madison Square Garden Thursday night, LeBron James took to Instagram to give us a look at his post-game swag. 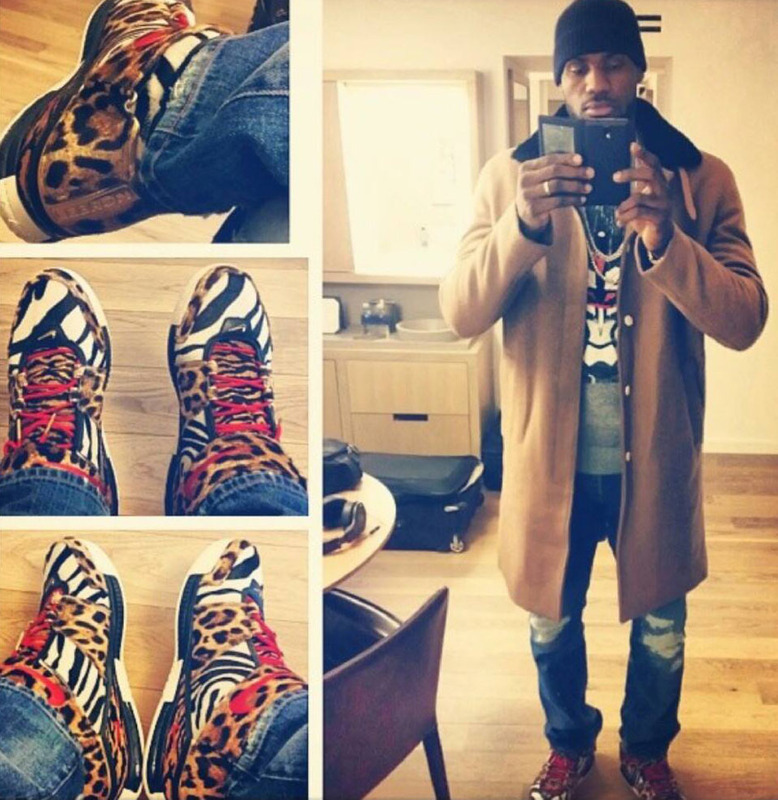 The photo highlights an all-new 1-of-1 Nike LeBron 2 'Beast' PE, decked out in various exotic animal furs and prints. LeBron has teased retro releases through Instagram before — would you like to see the 2 back in stores? 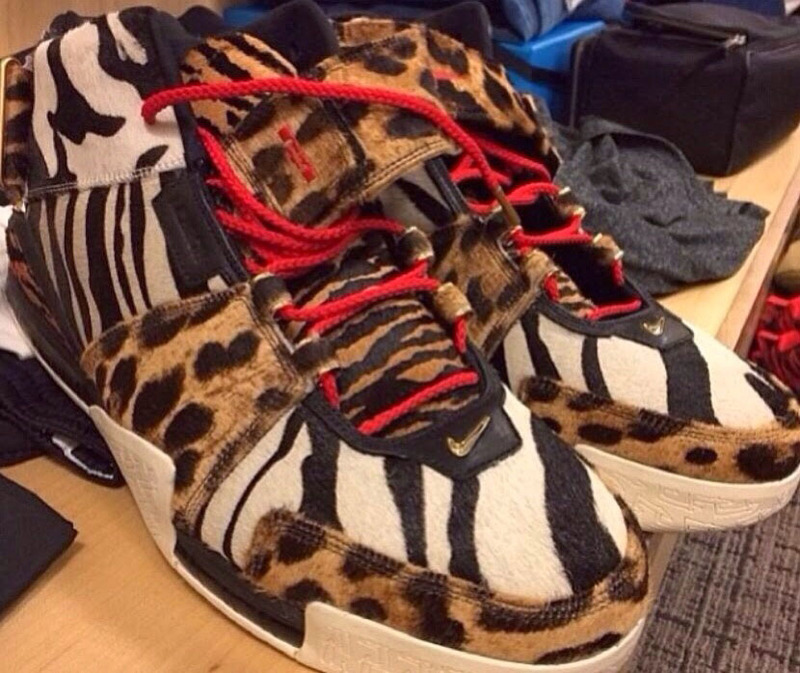 If so, is this animal PE something you'd even consider wearing?